In the late 1800’s and early 1900’s New Zealand did not have naval forces of her own. Naval defence in the South Pacific was provided by the Royal Navy under an Australasian naval agreement between New Zealand, Australia and Great Britain signed in 1887. Under the agreement Great Britain would provide five second class cruisers and two torpedo boats for the Australian station with New Zealand and Australia sharing the cost of maintaining the squadron on station. The cost share was apportioned based on population. The agreement came in to effect with the arrival of the Australian Auxiliary Squadron in Sydney in 1891. A new agreement was created in 1903 that provided for an improved sea going fleet to replace the Auxiliary Squadron and also providing opportunities for training Australian and New Zealand seamen. Under the new agreement one drill ship and one cruiser would be stationed in New Zealand waters. The 1887 agreement, and its successor, provided the framework for South Pacific naval policy until 1909. While neither the Admiralty nor Australia were particularly happy with it, New Zealand remained content with the arrangement; resulting from a pragmatic acceptance that New Zealand did not have the resources to maintain a professional naval force. Following Australia who formed her own navy in 1911, the New Zealand Governement that took office in 1912 also favoured creating a New Zealand naval force. The Naval Defence Act 1913, passed on 11 December 1913, provided the statutory basis for the establishment of the New Zealand naval forces. The Act did not authorise New Zealand to build its own warships and provided for the automatic transfer of New Zealand naval vessels to the Admiralty in time of war. The act empowered New Zealand to raise and maintain permanent naval forces, to apply the naval discipline Act and Admiralty instructions to the forces and to reinstate the Naval Reserve. 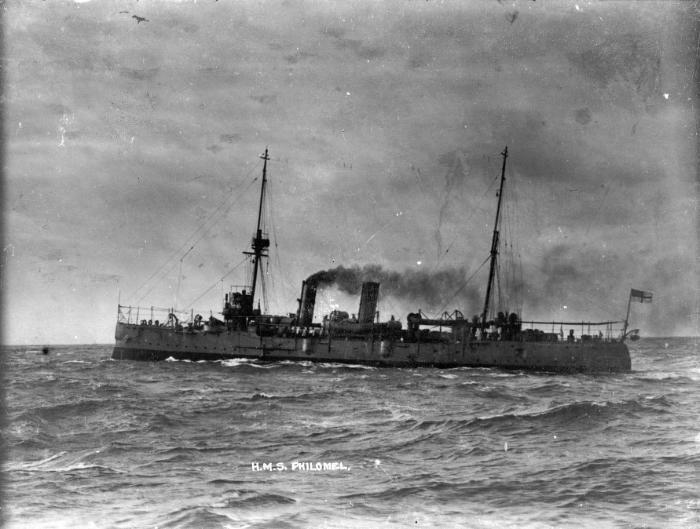 Under the provisions of the Act, New Zealand commissioned the Pearl-class Cruiser HMS Philomel as its training ship and Captain P.H Hall-Thompson became Naval Advisor to the New Zealand Government upon its arrival in New Zealand in July 1914. An administrative division of the Royal Navy was established to encompass the ships of the New Zealand station comprising the Philomel as well as the cruisers HMS Pyramus, Psyche and the obsolete sloop Torch as a depot ship. At the outbreak of the First World War the three cruisers sailed for active service overseas and the birth of a new navy for New Zealand was effectively put on hold. Over 600 New Zealanders served in the Royal Navy during WWI. New Zealand waters saw little naval activity during the war. 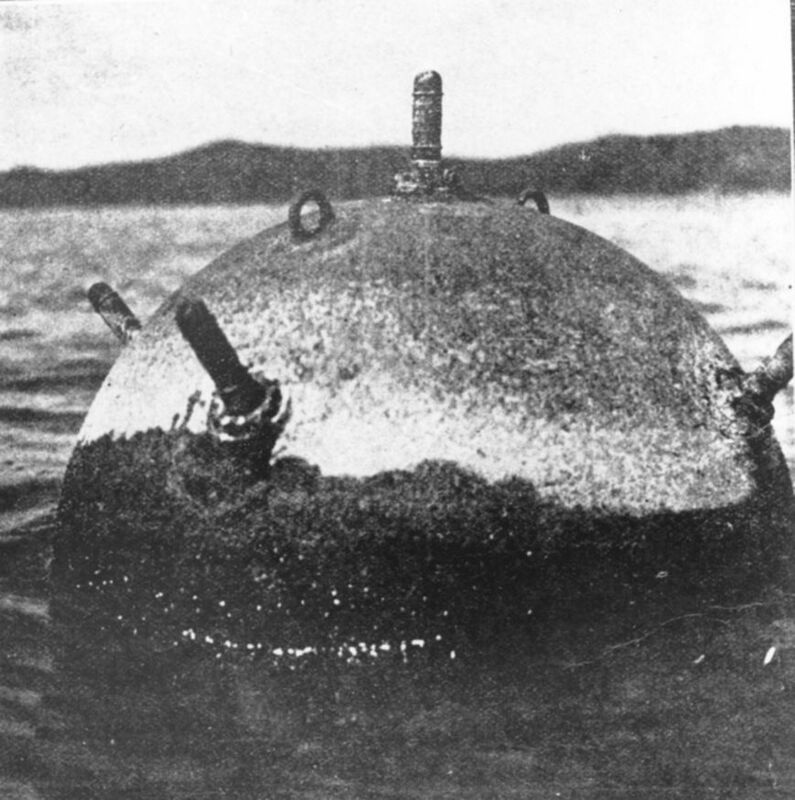 The Imperial German Navy’s raider Wolf laid mines in New Zealand waters sinking two ships. With no minesweeping capability in New Zealand the Admiralty had to charter local trawlers to sweep the minefields in 1918 and 1919. Nevertheless New Zealand made a significant contribution to the sea war of World War One. Over 600 New Zealanders served in the Royal Navy during WWI, 193 of whom were enlisted in 1916 to serve as officers and mechanics in the Royal Naval Motor Boat Reserve. These men helped man motor boat launches. Some took part in the celebrated raids on German submarine ports at Zeebrugge and Ostend. These efforts were a direct contribution by New Zealanders to the war on the U-boat, as were those of men like W.E. Sanders (who won a Victoria Cross), Frank Worsley and Wybrants Olphert in Q-ship operations against the submarine menace. New Zealanders also served in the Royal Naval Air Service, the Royal Naval Armoured Cars, the Royal Naval Division and in ships throughout the Royal Navy.